On a lovely sunny day, this Lemon Punch is light and refreshing and is best enjoyed sitting back and relaxing in the garden! Mix together the V8 Original juice, lemonade and Worcestershire sauce into a large bowl. Add the fruit and stir together thoroughly. 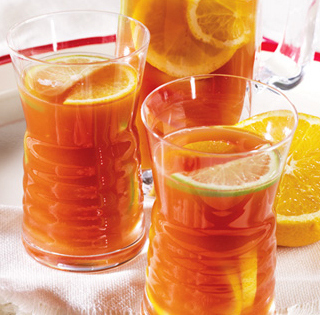 Serve over ice or store in the fridge until pouring.